Choose a card and place the animals on the board according to the card. 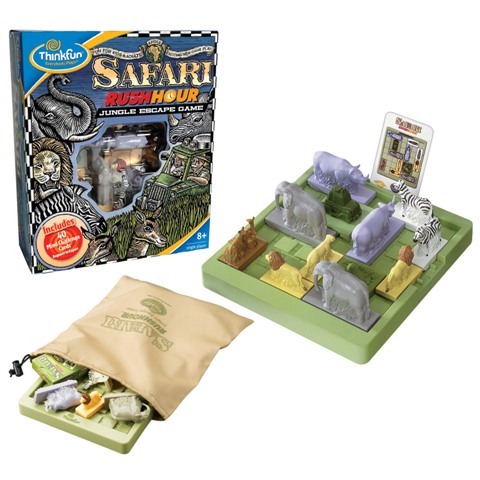 Move the animals that are blocking your way back and forth until your safari car manages to find a way out. The game contains 50 challenges for four different levels. 40 different cards for age of 8+ (+ 10 different junior cards for ages 6-8).